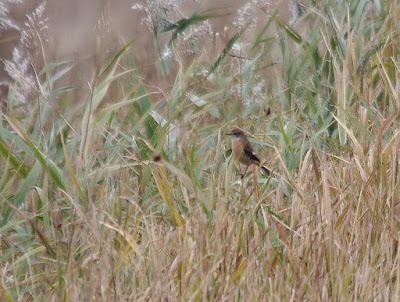 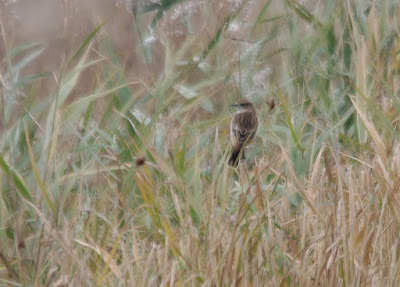 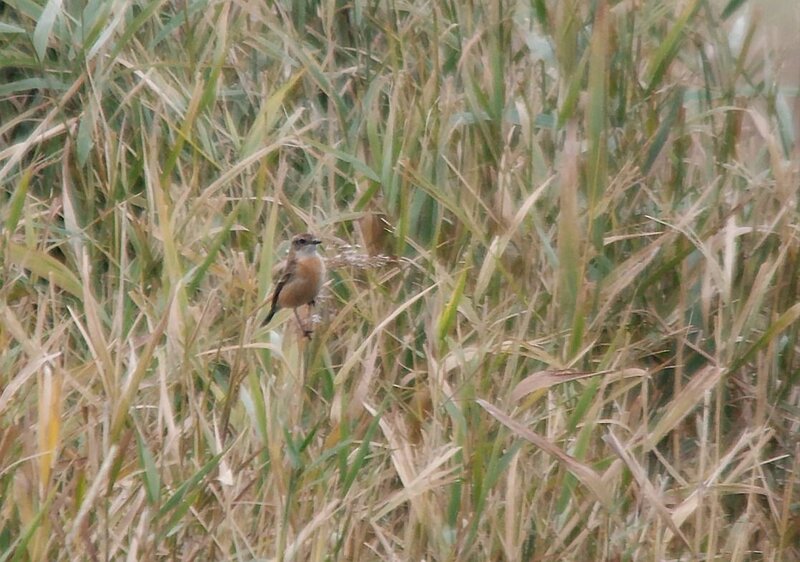 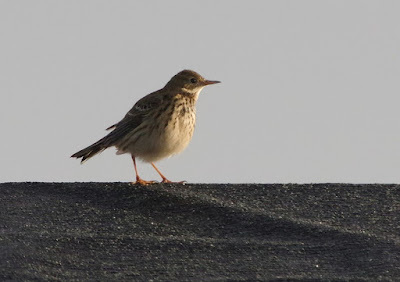 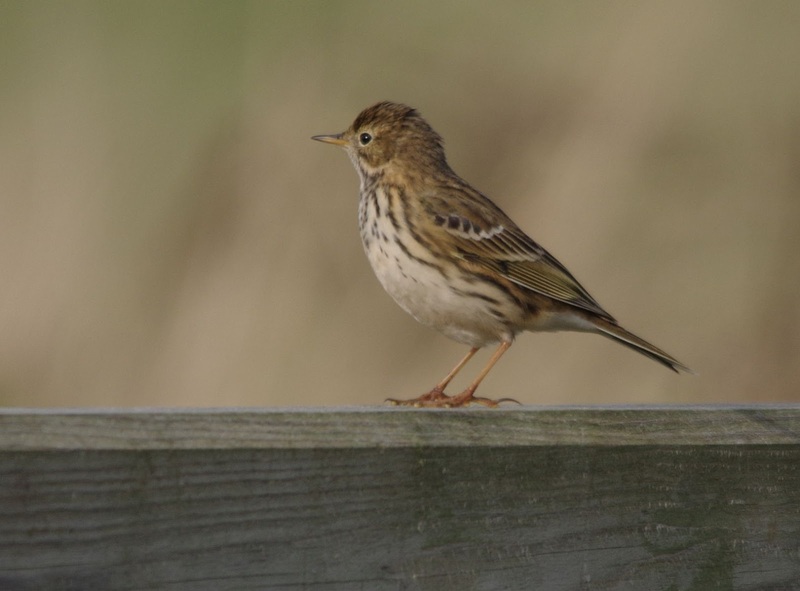 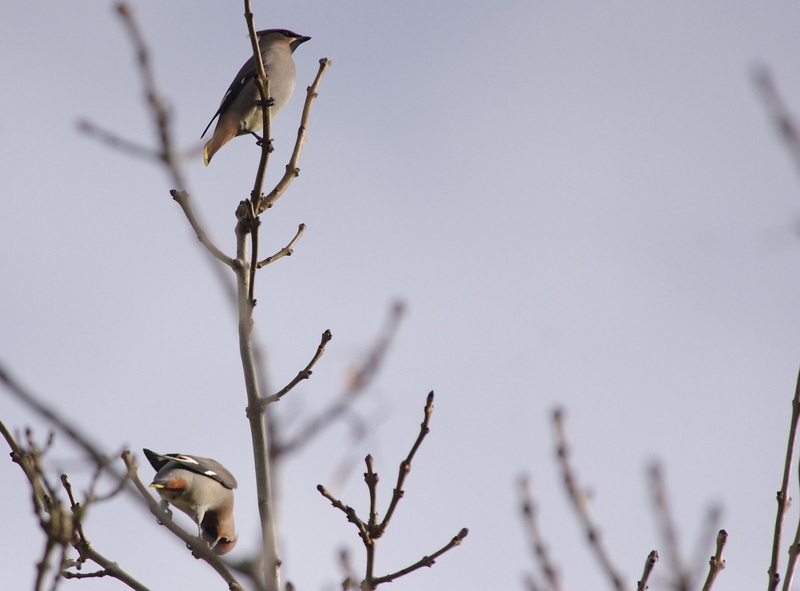 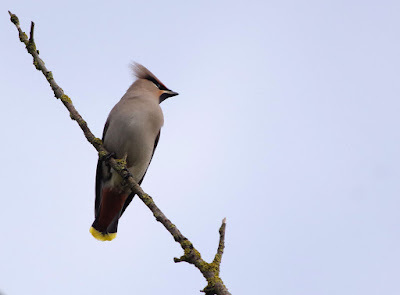 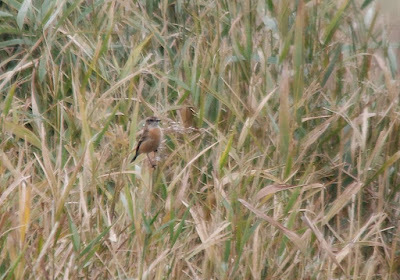 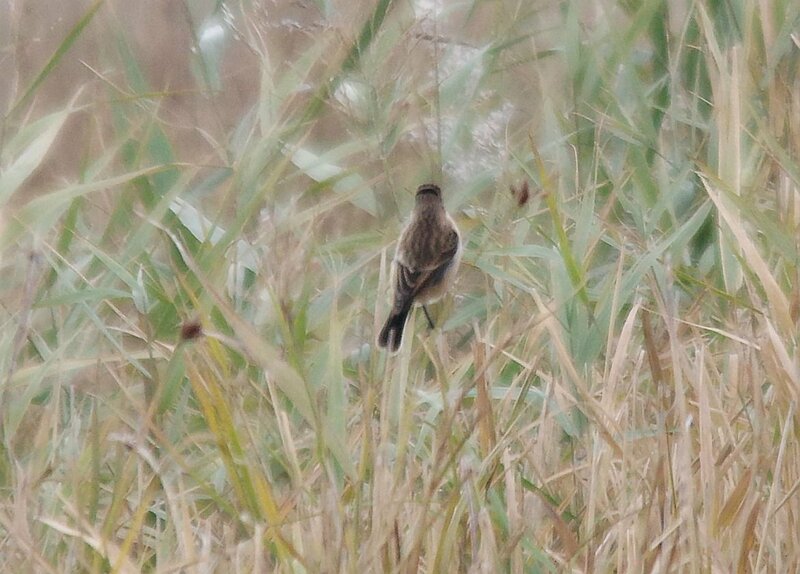 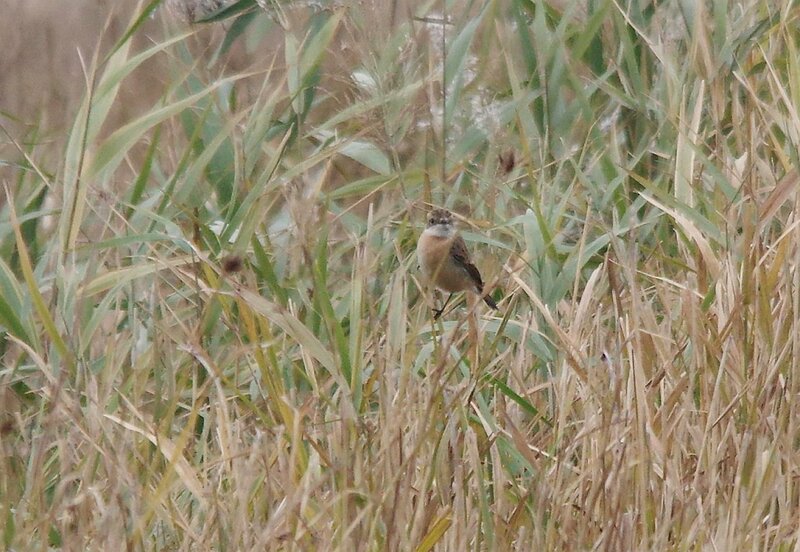 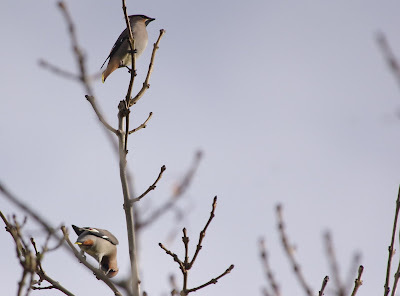 Birds of the Heath: Waxwings and a second look at some long-stayers. 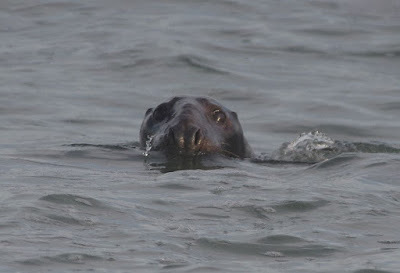 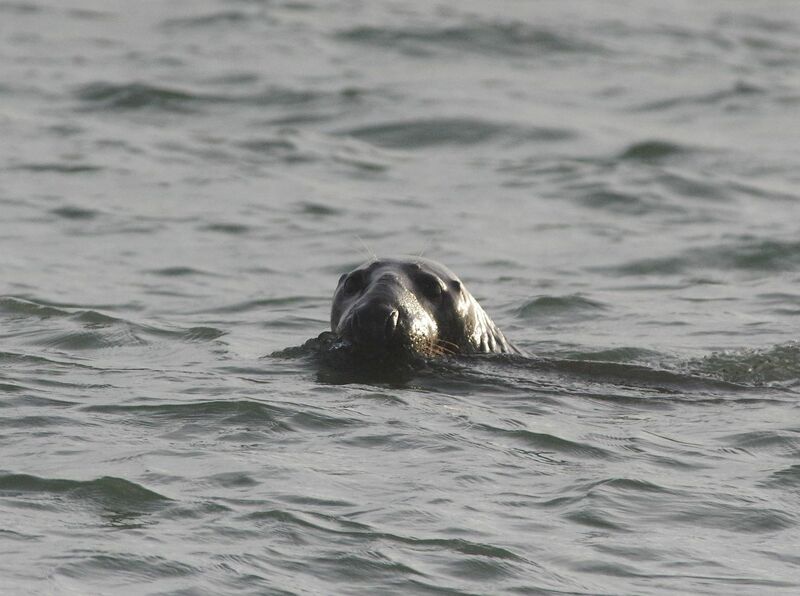 Brian, Linda and I started a day's birding on the East Coast with a fruitless two mile walk along Winterton beach: the only living things we encountered were seals! 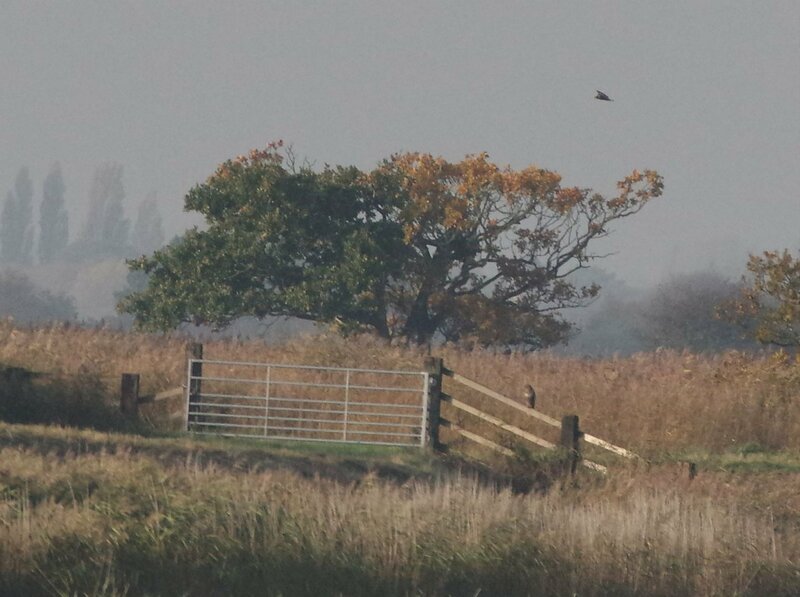 A move to Horsey was slightly better, with very distant views of a Rough-legged Buzzard being photo-bombed by a Marsh Harrier. We carried on to Sheringham so Brian could catch up with the King Eider: not only was the tide right out, but the fishermen were out in force retrieving their pots! 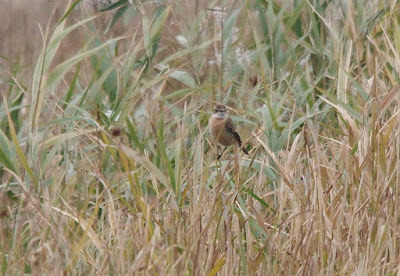 After tea and scones at Cley, we walked the East Bank and shingle ridge, but failed to locate the reported flock of Snow Buntings. 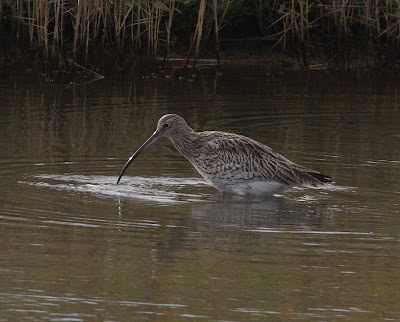 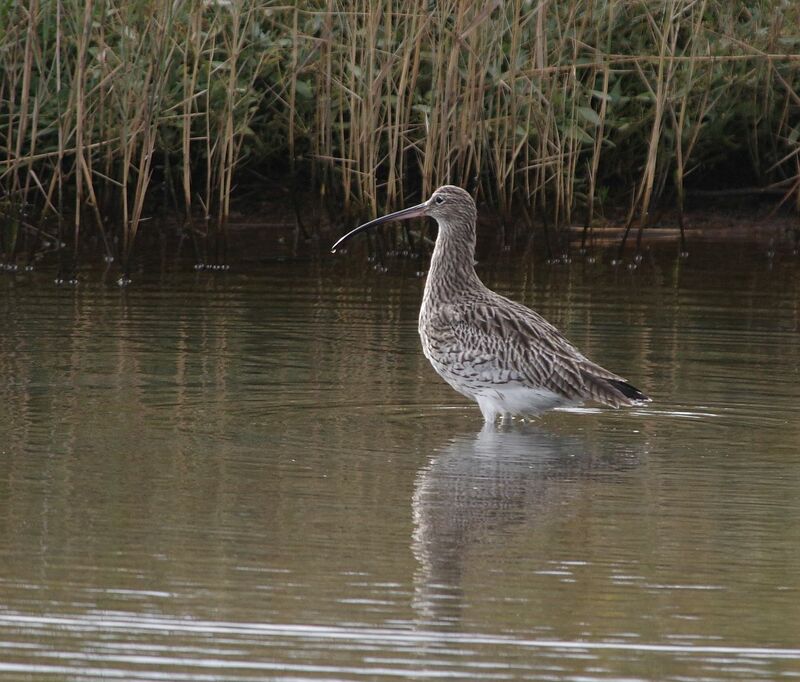 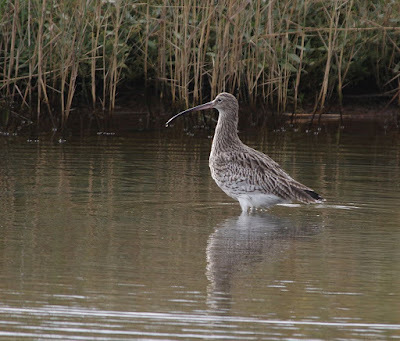 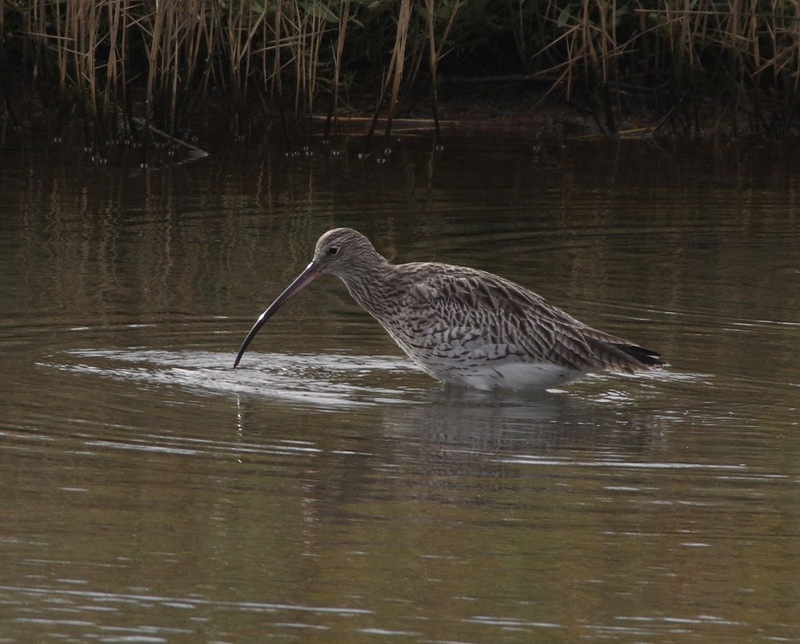 Best bird was a smart Curlew feeding in a pool right by the path. 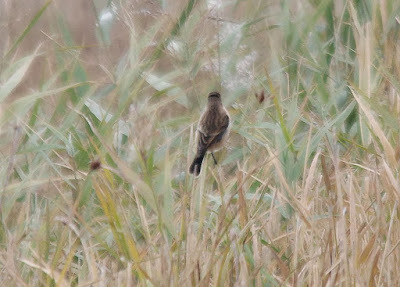 Linda hadn't yet seen the 'Salthouse Stonechat', so we spent an hour watching it and hoping it might come a little closer: it didn't! 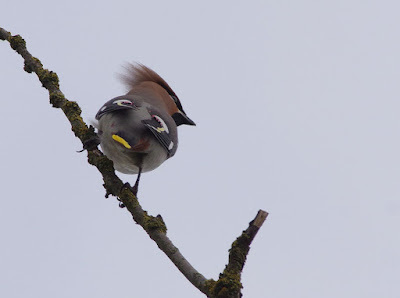 Still: a very attractive little bird. 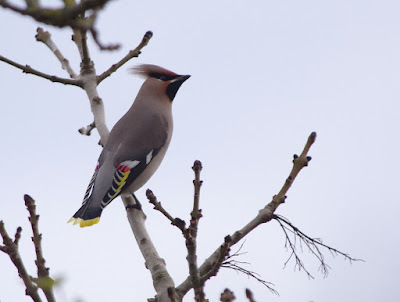 Next stop was Kelling, where our first six Waxwings of the Winter were flycatching opposite the tearooms. What splendid birds these are, particularly when seen, as these were, in bright afternoon sunlight.